The Kavli Nanolab houses the large fabrication tools for nanoscience and nanotechnology: a large clean room with growth and etching equipment and with photon, electron, and ion pattern writers. Here, researchers –students to senior– make devices in which they study e.g. electronic, optical, quantum-mechanical, magnetic properties of nanoscale objects or use them as artificial environments to interact with biological molecules or cells. The Alkemade Lab is the part of the Kavli Nanolab that explores new concepts of nanofabrication technologies. The focus is on ultrahigh resolution fabrication with electron and ion beams: the finest pens, down to a single nanometer in size. 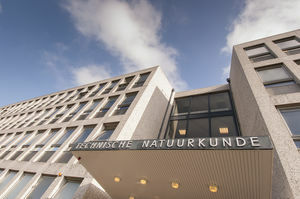 Bachelor and master projects are often linked to the group’s development and research activities at this frontier of nanoscience and -technology.